Product categories of Two Way Radio Rugged Phone, we are specialized manufacturers from China, Two Way Radio Rugged Phone, Radio Rugged Phone suppliers/factory, wholesale high-quality products of Dual Sim Cards Rugged Phone R & D and manufacturing, we have the perfect after-sales service and technical support. Look forward to your cooperation! 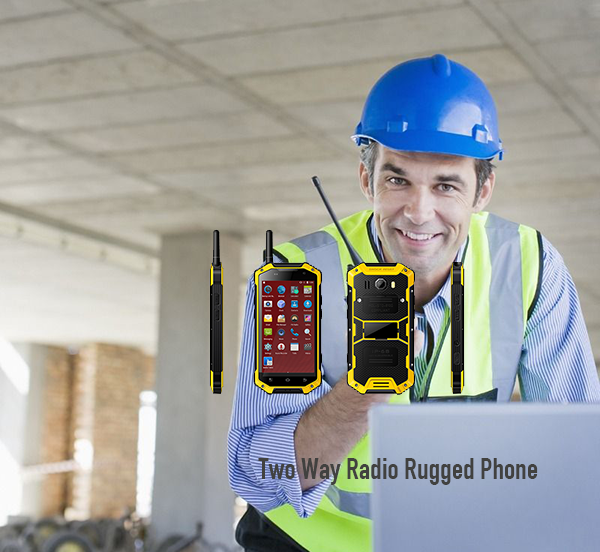 Two Way Radio Rugged Phone is a professional walkie. Meanwhile, the Two Way Radio Rugged Phone has Push-to-Talk (PTT) capabilities, NFC and barcode reader functions which suit their use for industrial and construction logistics.What is Push To Talk (PTT)? Communicating with Push To Talk is an instantaneous method of communication because there is always an open voice channel and there is no need to dial a number, calls are held between other users on your PTT installation. To make a call you just need to push a side button of the Two Way Radio Rugged Phone and talk. You can use this Two Way Radio Rugged Phone talk to one person or to a group of people. The Two Way Radio Rugged Phone has the advantage of almost unlimited coverage as it uses the global GSM mobile phone network and as it utilises the data channel you will still be able to make calls when the voice channel is congested. Many companies are turning to PTT as an alternative to traditional CV radios.